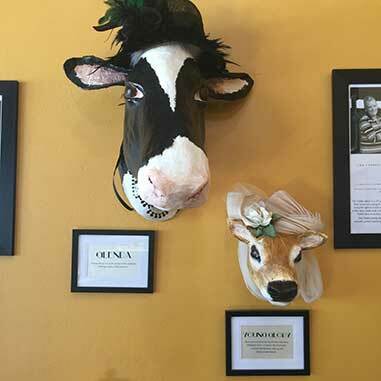 An udderly delicious Milk Bar Café. 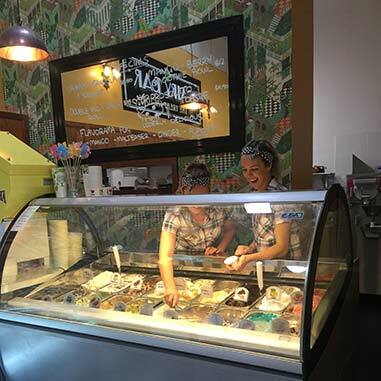 Take a seat at The Dairy bar and enjoy our gelato, sundaes & milkshakes made on the premises from award winning South Coast Dairy milk and cream. You can't get fresher or more local then that. Read about our local dairy farmers, the history of the local industry and enjoy the best of the area’s dairy farming produce. The Dairy Bar stocks a range of locally produced cheeses. 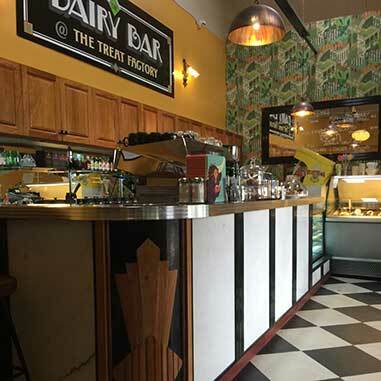 The Dairy Bar serves breakfast, lunch and treats with the best of the regions produce, The Treat Factory’s condiments and South Coast cheeses. You may even catch a glimpse of the herd in the pastures while relaxing on our undercover outdoor deck. The Dairy Bar is located in the original Berry Central Creamery. Built in 1895, it was the first factory in NSW to adopt pasteurization of cream for manufacture into butter. Our treats are produced using South Coast Dairy’s award-winning milk and cream, South Coast Cheeses and The Treat Factory condiments, sauces and confectionery. *Note: Booking of 10 pax +. Must provide 48 hours notice. GF & Vegetarian options available. Additional charges for GF may apply. Tap water provided free of charge. Tea or coffee is 8oz size. Book your group (* Minimum 10 people) for a Gelato Talk and Taste Session. The Dairy Bar staff will discuss the production of gelato an using local South Coast Dairy milk & cream. Talk runs for approx. 15min and includes tastings and a small cup/cone of gelato. Cost$4.50 per person. Bookings are essential. Must provide a minimum of 24hours notice. Do you have a party, wedding or special event in Berry or the South Coast coming up? Our Gelato Cart is available to hire at your next function. Our Gelato Cart holds 2 x 7kg tubs (approx. 120 scoops) of Gelato. Choose from a wide selection of gelato freshly churned by The Dairy Bar. $300 includes cart hire, gelato, cones, cups and serviettes. There is a $500 refundable bond. We are located at The Treat Factory on Old Creamery Lane in Berry. More details here!